This love season, beloved fast food chain and producer of heartwarming videos Jollibee return with a set of heartwarming Kwentong Jollibee episodes that remind viewers to keep their faith in love as it always prevails despite of heartbreaks, rejections, and challenges. “We’re very excited to be back again this Valentine’s Day with new Kwentong Jollibee episodes. Our stories have always been inspired by true events and I think it’s most evident with this series,” said Francis Flores, Jollibee global brand chief marketing officer and PH marketing head. “The reality is that love is not always easy, but what matters most is having faith in love no matter how tough things may get and this lesson is what I hope people will take home after watching,” he added. Last year, Jollibee took Valentine’s Day by storm and inspired millions of Filipinos to believe in the power of love with the 2018 Kwentong Jollibee Valentine’s Day episodes: “Homecoming,” “Signs,” and “Status” which pooled in 167 million in reach on Facebook, and over 63 million views on both Facebook and YouTube. “Choice” revolves around the story of Ann, a young woman who is torn between two men in her life. Sharing intimate moments with her long-time best friend Paul, she also begins to find comfort in a new companion—Jay, a co-worker who inspires her to discover a different side of herself. The episode directed by Ianco dela Cruz concludes with Ann making a defining choice, looking to the past with gratitude and embracing the hope for love. A tale of love lost and found again, “Proposal” follows the story of Hans, a young man ready to spend forever with the love of his life. In an unexpected turn of events, his fairytale is shattered and he faces the challenge of rebuilding himself. Little by little, he picks himself back up with help from unexpected places. Directed by Joel Ruiz, the episode is all about starting over and choosing to love once again. 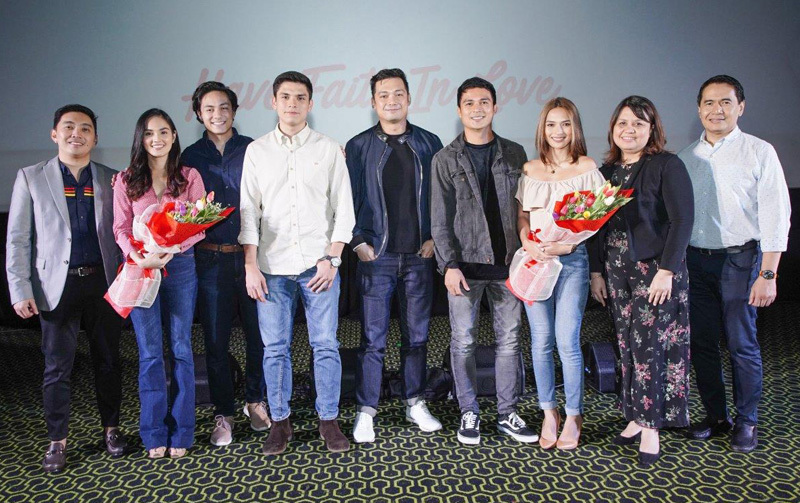 Director Pepe Diokno narrates a battle fought for love with “Anniversary.” Jason’s pursuit of a successful career spells trouble for his long-term relationship with Claire. Devoting his energy and passion to his work, he starts to take Claire for granted. Go to Jollibee’s Youtube and Facebook pages to watch these episodes.